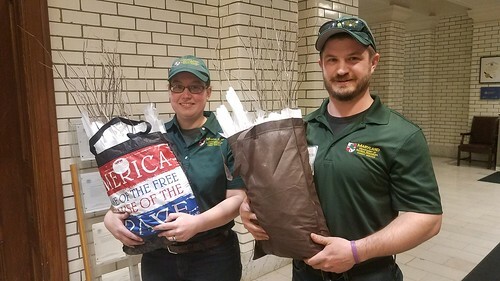 Wednesday morning, Maryland Forest Service staff delivered potted red bud seedlings to Governor Larry Hogan, Comptroller Peter Franchot and Treasurer Nancy Kopp before their Board of Public Works meeting. 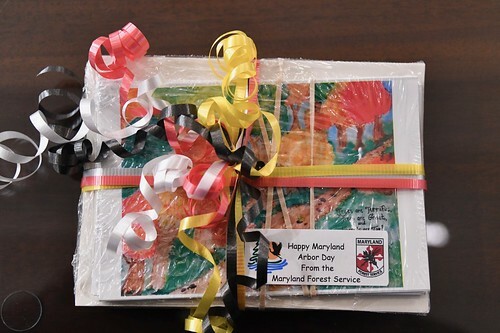 Additionally, board members received note cards featuring artwork from the 2019 Arbor Day poster contest, an annual event held earlier in the year for fifth graders throughout the state. 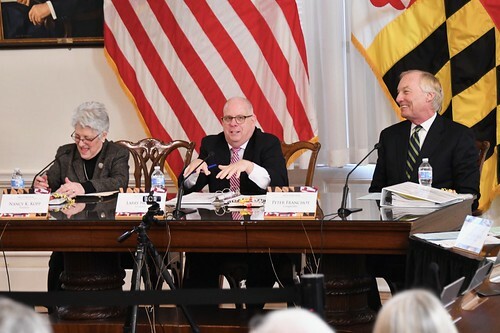 Maryland First Lady Yumi Hogan once again served as a guest in selecting the winners this year; a red bud seedling was also sent to her office in appreciation. 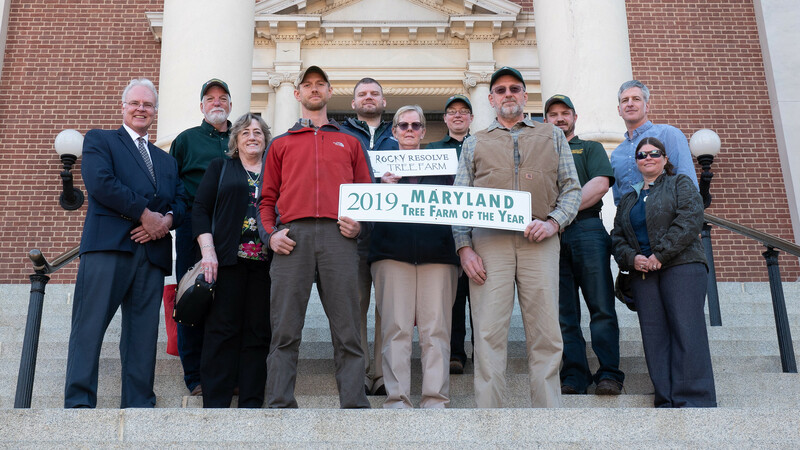 Tina and William Buckel from Garrett County were named Maryland Tree Farmers of The Year 2019 and were recognized on the Senate floor by Senator George Edwards. 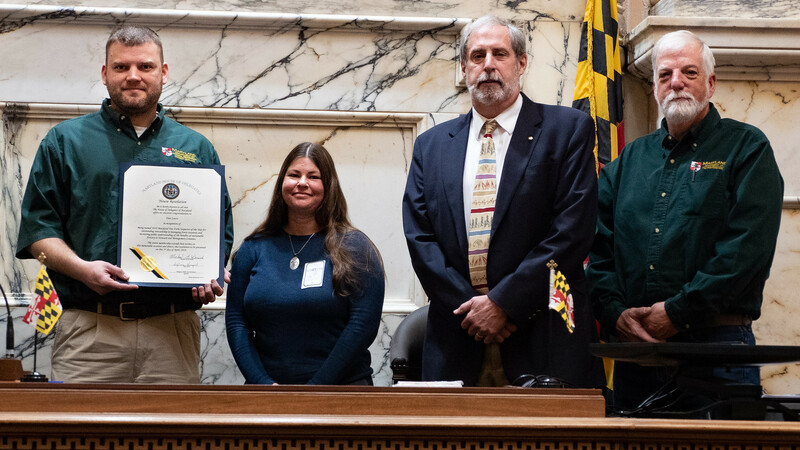 Dan Lewis of the Maryland Forest Service in Howard and Montgomery counties was named Tree Farm Inspector of the Year. He was recognized on the House floor by Delegate Trent Kittleman and Delegate Warren Miller.